Housed in a building with a history as rich as its contents, LSU Libraries’ Special Collections has, since 1985, provided researchers with a gold mine of rare books, archives, manuscripts and photos detailing Louisiana’s past. 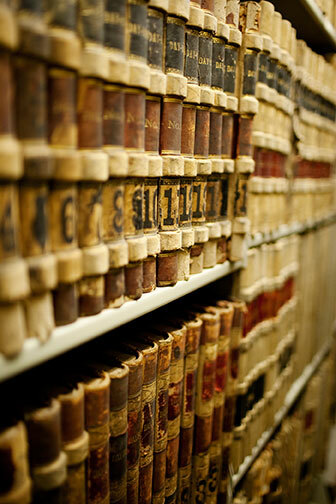 Special Collections in the Hill Memorial Library offers resources for original research in many fields. The program collects, preserves, provides discovery and access to, and promotes and instructs in the use of a wealth of research materials in areas including the humanities and social sciences, the natural sciences, agriculture, aquaculture, and art and design. These collections are largely donated by families with strong Louisiana ties. Dr. Trent James, who, like his brother, uncle, father and grandfather, is an LSU alumnus, recently donated his family’s papers, detailing his father’s and uncle’s involvement in LSU and the Louisiana sugar industry throughout the early 20th century. Through the generosity of individuals like James, who donate both materials and funds to process those materials, Special Collections is able to build collections that serve students, scholars and the general public; enhance access to its unique holdings; provide educational public programming and exhibitions; and preserve the history of Louisiana and the Lower Mississippi Valley.